Goodale told a Senate committee on Monday his department is looking at alternatives to locking away children, but he added the issue is complex and requires study. "There are problems in the system that go beyond simply changing procedures," Goodale said. "Physical capacity is an issue. And we need to make some changes there in order to accommodate alternatives." In a confidential inspection report made public in January, the Red Cross said Canada should jail child immigrants only as a "last resort" and must find alternatives to detention for such vulnerable newcomers. Trudeau tracker: Have the Liberals kept their promise on C-51? The border services agency holds people who are considered a flight risk or a danger to the public and those whose identities cannot be confirmed. The Red Cross says the border agency detained 10,088 immigrants — almost one-fifth of them refugee claimants — in 2013-14 in a variety of facilities, including federal holding centres and provincial and municipal jails. Among these were at least 197 minors, held an average of about 10 days each. However, the number of young detainees was almost certainly higher because the figures did not include those who were not formally part of a detention order, but nonetheless found themselves behind bars with a parent or guardian. At the committee hearing Monday, Liberal Sen. Mobina Jaffer pressed Goodale to commit that Canada would no longer detain youngsters. 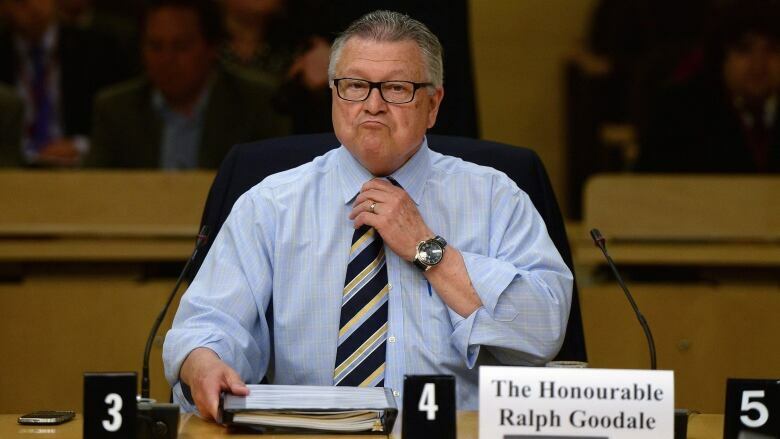 "I wish I could give an absolute, iron-clad undertaking on that point," Goodale replied. "I need to make some changes in the system, including in the physical capacity of the system, in order to make such an unequivocal undertaking. I want to get to that point." Goodale, who recently visited an immigration holding centre in British Columbia, said he has discussed the issue with the United Nations High Commission for Refugees, refugee advocacy organizations and the B.C. Civil Liberties Association. Federal authorities are looking into alternatives to detaining newcomers, such as bail and electronic monitoring, the minister added. "I have asked my officials to work on all of these alternatives — together with any issues around resources or budget that may be necessary — to make sure that detention is used in only the cases when that is absolutely essential and there are no alternatives, that the facilities are upgraded, and that we seek to avoid detention of children altogether." When keeping children out of detention involves separating them from their parents, it's a "delicate issue," he told Jaffer. "It's not quite as simple as it seems, but my objective is certainly in line with yours." Goodale said the lack of independent review of border officer conduct "is a gap that definitely needs to be addressed." However, Goodale said while he agrees with the spirit behind a senator's private bill to create an inspector general for the border agency, he could not support the initiative. He noted the government is about to begin a broad, public consultation process on the national security framework, which could lead to creation of an inspector like the one outlined in the bill. "I need that consultation before I can commit to specific legislation." In addition, Goodale said he has asked officials to do a "broad, internal assessment" of all review functions within the Public Safety portfolio — including the watchdogs over the RCMP and CSIS — to identify both gaps and best practices.